It’s been said that in recreational sports, racing drives sales. For snowmobiling, racing drive innovation and every year the manufacturers work hard to out-race each other on the track, on the ice, and across the snow. Here is some information on the three race sleds revealed at Hay Days. The new Polaris 600R Race Sled is the latest evolution of a race-winning platform. For 2017, the AXYS-inspired design creates a 10” narrower sled body for better rider ability and tighter cornering capabilities. In addition to the new bodywork, the sled has a new intake system and plenum, windshield, and headlight. New instrumentation includes the 600R Digital MessageCenter Gauge, and the footrest area has been redesigned to reduce drag in corners and improve under hood ventilation. The 2017 Polaris 600R Race Sled also features proven components such as the quick- accelerating 600 Cleanfire engine, lightweight crank, industry-leading IFS Independent Front Suspension), and rear suspension with improved shock calibration for optimized ride and balance. “This is advanced technology that wins races and contributes to our development of Terrain Dominating consumer sleds,” Wolf said. The new ZR 6000R SX is the first production snowmobile built for snocross competition featuring electronic fuel injection. It’s powered by a modified Arctic Cat 600 C-TEC engine that was co-developed for competition by Speedwerx. Other key improvements and features are aimed at defending its ISOC Pro Open and Pro Lite championship titles from last season. Cross-country racers will pilot the new 2017 ZR 6000R XC production race sled, which features all-new Gen-II plastic bodywork; FOX 1.5 ZERO QS3-R coil-over ski shocks with Kashima coating; and other improvements. It’s powered by the Arctic Cat C-TEC2 600 DSI engine and contained by the ProCross chassis, a combination that captured five USXC championships last season, including Pro 600 and Pro Open. BRP introduces the 2017 Ski-Doo MXZx 600RS racing snowmobile designed specifically to attack North American snocross tracks. The sled will feature revised clutching, improved progressive coupling system and a refined slip gear that results in better holeshots, acceleration and traction with even more durability. The 2016 MXZx 600RS made big improvements in all aspects of snocross competition with the radical engine changes, new pDrive clutch and unique progressive coupling system, while maintaining the sharp handling and superb bump capability MXZ’s are renowned for – this new version just elevates it even further. This sled is the basis upon which the Open Mod snocross sleds that took 2nd, 3rd, and 4th in the National ISOC Snocross circuit are built. The clutching changes combined with a further improved coupling system will result in explosive holeshots and instant response out of corners and deep snocross craters. The changes also keep a constant eye on making the most durable snocross machines even more so to lower costs and assure racers trouble free performance. 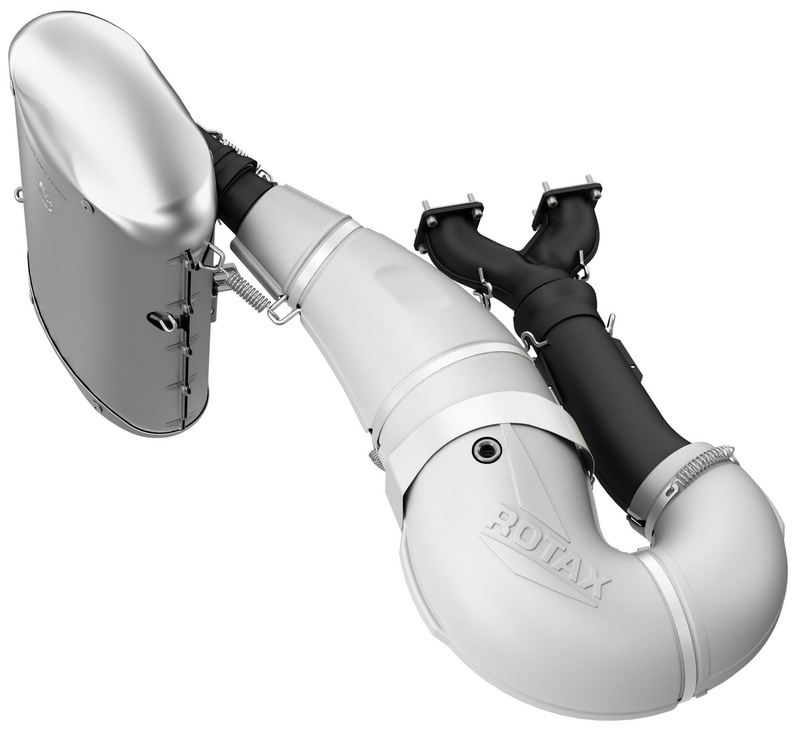 The Rotax engine features a proven cylinder design with a tight tolerance manufacturing process to maximize power and consistency. In addition, the crankshaft, drive clutch and stator reduce inertia for faster response. The powerpack also features a very efficient Y-pipe shape, and tuned pipe to match the cylinder, plus a lightweight muffler. The engine delivers fast revving, consistent and robust power from engagement all the way to the 8000 RPM redline. Last year BRP introduced the pDrive clutch on the 2016 MXZx 600 RS and it immediately delivered results at the season opening ISOC race as this video shows https://youtu.be/dvGz81YIpEg. The pDrive is designed to reduce friction, reduce weight, tighten tolerances, allow for more consistent RPM delivery, require less maintenance and last longer. 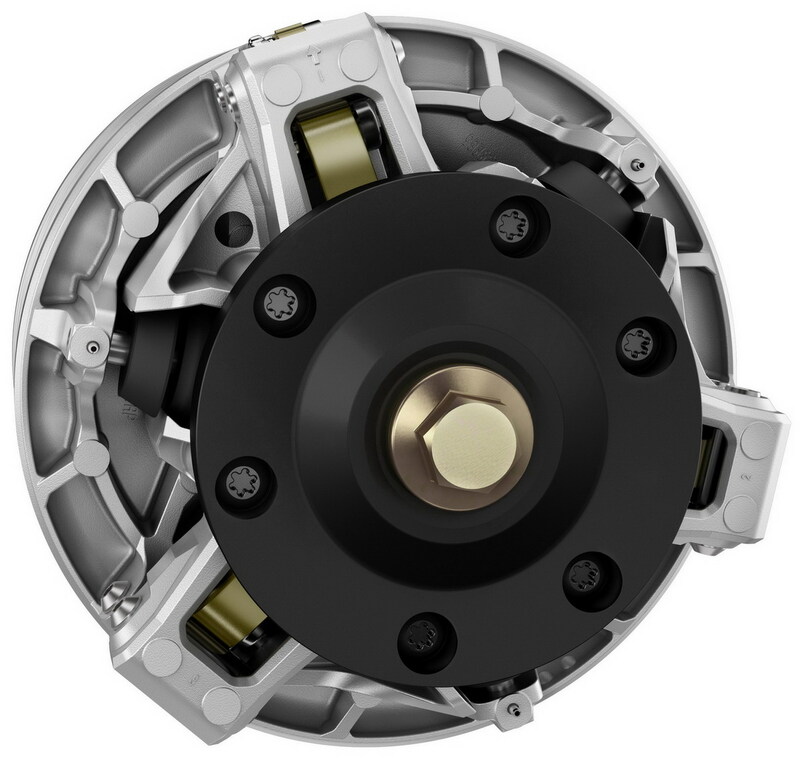 To accomplish this, the specialty racing pDrive clutch features unique elements like fast and friction-free dual rollers to transfer torque in place of traditional sliding buttons, the renowned BRP-exclusive adjustable clickers, needle bearings in oversize rollers and a compact open design. New Clutching calibration: pDrive: +14mm of weight on pivot, stiffer spring for higher engagement 230-435 instead of 200-380, new clicker position. Progressive coupling: Improved fit, function and reliability for explosive holeshots. Slip Gear: Improved tolerances and production for better stability and smoother engagement. For more information on Ski-Doo snowmobiles, visit www.ski-doo.com or the On Track blog site for race-specific information. It will be interesting to watch these models compete this coming season.